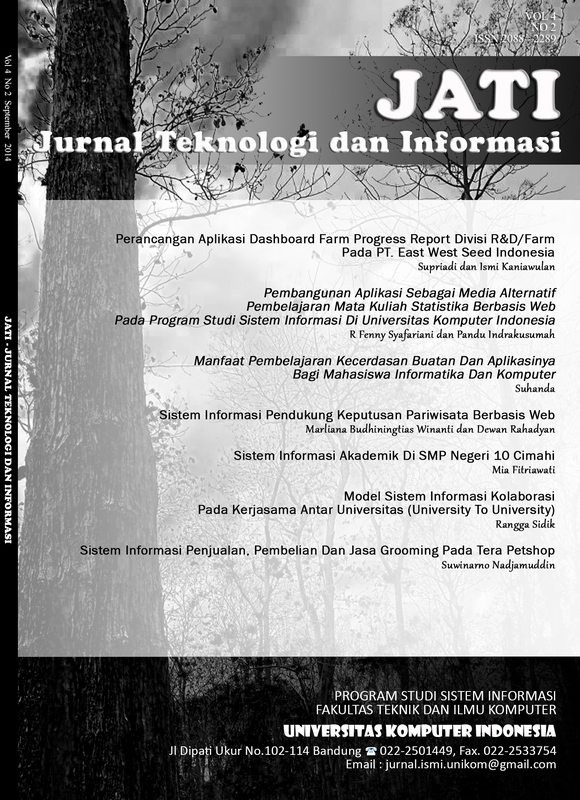 Studies Program Information System is one of the way that is at Faculty of Engineering and Computer Science at the University of Indonesia, which requires a computer to all courses students to take statistics. It currently has many alternative media learning about statistics that can be accessed either from a book or the internet, but some students still feel less mastered an understanding of statistical subjects.Based on these problems, it is necessary to other applications as an alternative to support media in understanding the material in the course of such statistics.Research methods used in this research using qualitative methods, descriptive and action. System development method that is used is the method of development of the Unified Modeling Language (UML) and the software prototype with the tools of analysis and design in the form of use case diagrams, activity diagrams, sequence diagrams, class diagrams, object diagrams and deployment diagrams, and for making its software used Sublime Text 2 by using the PHP programming language and Mysql as the database.The application is expected to be used as alternative media in addition to the previously existing media to be able to assist students in understanding the material that is in statistical subjects.